Need Texas Owner Operator Insurance Today? 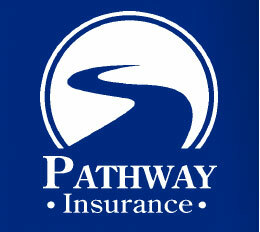 If you’re looking for owner operator insurance in Texas the licensed agents at Pathway Insurance can help. Our knowledgeable agents can help you find the right coverage at a price you can afford. Call us at 800-998-0662 Mon-Fri until 5 PM (CST) to speak with an agent or click on Texas owner operator insurance to begin your quote today. We also have a Chat System to be connected to online agents 7 days per week for quotes and coverage. Chat Now to get a quote and buy the coverage you need! Texas Owner Operator Insurance for either Independent or Leased! There are typically two main types of owner operators, those that work independently under their own authority and those who are under permanent lease to a motor carrier company. Both have different insurance options to consider. Trucks under permanent lease may be covered by the insurance of the motor carrier they work for, but those who work under their own authority will likely need to purchase their own primary insurance. 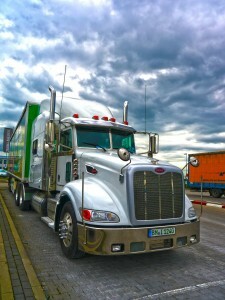 What Texas Owner Operator Insurance Coverage Do You Need? If you are under permanent lease to a motor carrier company they likely will offer coverage for you and your truck while working for them. The insurance provided may include liability insurance protection, physical damage coverage, and cargo insurance. Non-trucking liability coverage is designed to protect you if you are not on dispatch. Non-trucking liability is not typically provided by the motor carrier. This specific coverage may cover you while you are using your truck for non-trucking purposes. For example if you take your truck to visit friends or run personal errands, non-trucking liability insurance may cover you. Physical damage protection can be included with Non-trucking liability. Physical damage can include collision, specified perils, or comprehensive and this can protect your truck if it is involved in an accident, stolen, vandalized, or one of the other claim events covered by the policy. The last coverage that is typical for a motor carrier to provide is motor truck cargo insurance. This coverage is designed to protect the company from losses or damages to the load you’re hauling with certain restrictions. If you are an owner operator working under your own authority the three types of coverage we discussed may be prudent for you to consider. In addition commercial general liability insurance and workers compensation might be important to purchase. Having a knowledgeable agent discuss your coverage options is important. That is one of many reasons why you should call the specialists at Pathway Insurance. Owner Operator Insurance Texas – Don’t Fall for this Trick! Most likely you have heard about the term Bait and Switch. The dictionary definition goes something like this: A sales tactic in which a customer is attracted by the advertisement of a low price item but is then encouraged to buy a higher priced one. How does Bait and Switch work for Owner Operator Insurance in Texas? You call an agent we will call Number 1 and he gives you a price on your Truck Insurance, you call another agent we will call Number 2 and he gives you a higher price from the same company. You decide to buy from agent Number 1 because the price was lower. Two weeks later you get a notice that the policy you bought from agent Number 1 is going up. You call agent Number 1 and he does his best to duck your calls and you finally catch him when you disguise your telephone number and he hems and haws and admits they made a mistake on your radius of operation. You look at the other quote from agent Number 2 and low and behold the price he quoted you is what you are now paying and you feel like you were hoodwinked by agent Number 1. Did you just get baited and switched? Maybe or maybe not. Sometimes agent’s simply don’t know what they are doing and we call that simple incompetence. In other cases agents are doing it on purpose. Texas Owner Operator Insurance – Don’t Fall for Bait & Switch Tricks! As an agency in one particular month we talked to 5 different truckers who got quotes from the same company we quoted and for those 5 truck insurance quotes we were more expensive. Just so you know that particular company doesn’t allow any type of price discounts between agencies. We all have the same prices but in this instance the agents apparently were engaged in what we call bait and switch to get the truckers to sign up. Your policy being cancelled would be bad, but a claim denial would certainly be worse! We believe most agents operate with integrity and honest but there are a few out there doing what they can to get customers on the books- you need to avoid agents that are engaged in Bait and Switch. If you get quotes from the same company and the prices are different, that’s the first warning sign that the bait (lower price) is in the water (so to speak). Just don’t bite and get hooked because you will most certainly regret it later! We never use this trick to get truckers to sign up with us, ever! Owner Operator Insurance in Texas – Coverage at a Rate You Can Afford! With the dangers of operating such a large vehicle it is important to make sure you are well protected. Call the well versed agents at Pathway Insurance at 800-998-0662 or click on Texas owner operator insurance to begin your online quote.